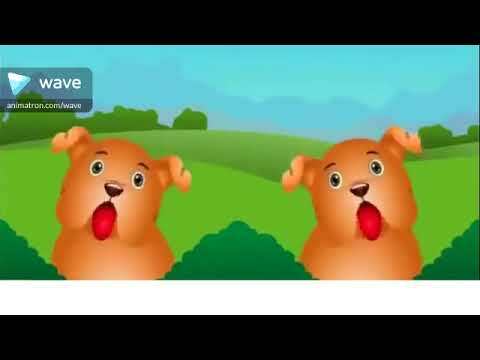 You're here: Home » Learning Corner » Top 5 English nursery rhymes from the 80s! 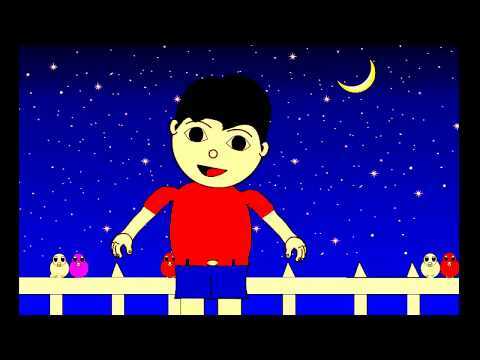 Are you an Indian parent born in the 70s or the 80s looking for rhymes that you loved as a child? If yes, you have come to the right place. As a parent born in the 80s, I remember those days when I used to recite rhymes in front, my family and friends. When we remember our favourite rhymes, we don’t just remember the words; we remember them along with their tune and rhythm. Good old days, isn’t it? As explained in our earlier article, nursery rhymes are not only a great source of fun and entertainment, they also expedite and enhance the language milestones. In fact, speech therapists recommend reciting nursery rhymes, to help children having speech delays in order to quicken their language acquisition. Here are our Top 5 English Nursery Rhymes from 70s & 80s, which we are sure will bring back a rush nostalgic memories. This is probably the first rhyme which we recollect, the moment we think of rhymes. Even today, whenever we see the bright, twinkling stars in the sky, we start humming this song in our minds. This rhyme is rich in its scope of imagination and is peppered with metaphors which stretch the limits of child’s mind. Download Twinkle Twinkle Little Star lyrics here. This is probably the most relatable rhyme for children as it evokes memories of reciting it in front of family and friends or reciting it with matching actions in a classroom. One interesting fact is that there is a possibility this rhyme has its origins in India! There has been speculation that the rhyme which taught countless children not to lie, has actually originated in India. The accent and language of this rhyme are quite close to what is now called ‘Indian English’. It is such a favourite among children, probably because of the ease with which it rolls off their tongues and the happy (ha ha ha) note on which it ends. Download Johnny johnny yes papa lyrics here. This rhyme captures a common occurrence in a child’s life. This helps hold child’s attention while the rhyme meanders through the details of a story through familiar words and an uplifting tune. The rhyme helps the children develop the ability to hold their attention through a sequence of events which is essential for them to understand concepts and other academic constructs later in life. Download Rain rain go away here. What many do not know about this rhyme is that it is kind of a riddle being asked. The answer to it, of course, is “an egg”. If an egg rolled off a wall (or a table) and falls and breaks, it cannot be mended by any number of people. This rhyme, if posed as a puzzle, arouses the child’s interest in puzzle solving which will enhance the cognitive development. Download Humpty Dumpty lyrics here. This is another widely known and loved rhyme that most will remember from their childhood. ‘Baa Baa’ is an onomatopoeic word which imitates the natural sound the sheep, which is bleating. This rhyme also helps develop the arithmetic sense among children, especially ‘quantity’. It should be noted that for most children under 30 months, the concept of number 3 (three) is quite difficult to grasp. Toddlers usually understand 1, 2 and anything greater than 2 is considered by them as many. Download Baa baa black sheep lyrics here. Hope you enjoyed our list of Top 5 English nursery rhymes from 70s and 80s. Do you want some more rhymes to be added to this list? How about non-English Indian rhymes from the 70s and 80s? Please share your thoughts in our comments section below.